During the 28th and the 29th of May 2018 Ian D’Agata, creative director of Collisioni’s Wine Project, Geralyn Brostrom, wine educator, Haixia Xu, co-founder of Sichuan International Trade and Emily Huang, product manager and buyer for Kenson Technologies, went to visit eight winemakers in Langhe. The guests during the 27th of May tasted, at they arrival, more or less sixty wines of the territory and, in particular a series of Monferrato wines mostly Ruché, Grignolino, Freisa and Malvasia. Among the tasted labels, those by Tenuta Montemagno that proposed to the guests their Ruché, the Grignolino Ruber, the Malvasia di Casorzo Dulcem and the sparkling Malvasia. Also Agricola Ferraris had the chance to present their Ruché: the Clasìc, the Sant’Eufemia and the Vigna del Parroco. The morning of the 28th of May started with the visit to Franco Conterno, located in Bussia Zanassi locality. There the experts were welcomed in the tasting room where the wife served and explained the winery’s products. 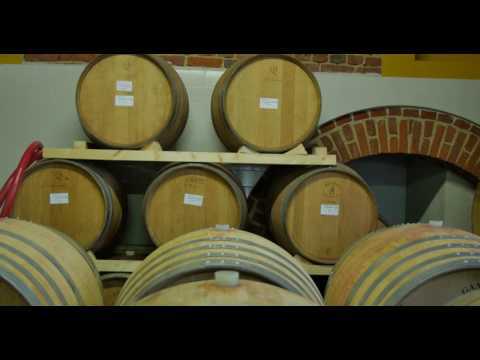 The products that have been served in order are: a sparkilng Blanc de Noir made by Nebbiolo grapes called “Na Punta”, winemade with the end of the bunch of grape, where there is the majority of acidity, more suitable for a sparkilng wine, with less colour and it stays six months in barrique; a Rosé made with Nebbiolo grapes, it stays just five or six hours in contact with the skins; a Barbera d’Alba Superiore of 2016 that stays twelve months in tonneau and barrique; a Nebbiolo of 2016 that stays six months in tonneau; a Langhe Doc Rosso of 2015, blend made with Nebbiolo, Barbera and Merlot with twenty four months in barrique; a Barolo “Pietrin” that makes twenty five months of maceration, it passes two years and a half in tonneau and six months of aging in bottle; Barolo Panerole of 2013 that stays thirty months in durmast barrels; a Barolo Bussia of 2012 Riserva that makes forty months of aging in durmast barrels and in the end a Barolo Riserva “7 anni” that stays seven years in durmast barrels and it is made with Nebbiolo grapes from Bussia, Panerole and Pugnane Cru. To conclude the tasting it was served, in addition, a Barolo Chinato made from a Barolo Bussia Riserva. In the late morning the panel of experts went to Neive to visit the Azienda Agricola Sottimano. The visit started with a tour in the vineyards where the owner showed and explained the different Crus of Barbaresco. The winery doesn’t use chemicals products and the harvest in completely manual. During the tasting were presented in order: a red wine made with Brachetto grapes “Maté” of 2017, the grapevines have sixty-years-old and they are cultivated in Pajoré zone; a Dolcetto d’Alba “Bric del Salto” of 2016 that stays six months in steel barrels; a Barbera d’Alba “Pairolero” of 2013 and of 1997, it macerates twenty five days and then it is moved in barriques of french oak and it will stay there for fifteen months before beeing bottled; a Langhe Nebbiolo of 2016, that comes from grapes grew up in Basarin Cru; a Barbaresco Basarin of 2015; a Barbaresco Pajoré of 2015, 2014, and 2008 and in the end a Barbaresco Riserva of 2010; that stays more or less twenty four or thirty months in barrique. In the afternoon the experts have visited the Azienda Agricola Bruno Rocca, located in Barbaresco. The owner showed the vineyards and the cellar and then he explained the winery’s products, in order: a Langhe Doc Chardonnay “Cadet” of 2016 that stays in steel barrels and after in barrique for a total of twelve months; a Barbera d’Alba of 2016, that stays twelve months in barrique, with grapes that come from sixty-years-old vinegrapes; a Barbaresco of 2015, made with a blend of Cru (Marcorino, San Cristoforo, Currà and Fausoni); a Barbaresco of 2014, that stays eighteen months in barrique; a Barbaresco Riserva Currà of 2013, that passes just through big barrel for twenty four months and to conclude the tasting a Barbaresco Riserva Rabajà of 2013 that stays from twenty four to thirty six months in a big barrel of french oak. To conclude the day the experts went to Cerretta to visit Ettore Germano. Here, the producer guided the visit at the cellar and then him and the guests went upon the terrace to allow them to contextualize the wines in their locations in Serralunga. After, a tasting of the winery’s products, from the classical productions of Langhe, to the Riesling, the sparkling Nebbiolo and the Alta Langa experiments. And more, the Barolo Crus with the latest addition of Vigna Rionda to complete the panoramic. The day of the 29th May started instead with the visit to Silvano Bolmida, in Bussia locality in Monforte d’Alba. Here the producer received the experts in the cellar, proceeding with a tasting from the barrels to explain better his winemaking techniques that allow to produce a quality product respecting the environment and with a low impact in terms of chemical products. After, the group went to the tasting room where they could enjoy a panoramic of various Nebbiolo and Barolo by the producer, everything served and at disposition of the guests, with the producer’s explanations and descriptive images. The tasting ended with a Sauvignon Langhe of the winery’s productions. During the late morning the panel reached the Luigi Oddero estate, located in Frazione S. Maria of La Morra, where they met the cellar’s oenologist. The oenologist conducted the group to discover the production techniques, the stylistic choices and the new attention to the vineyards with a new oenologist. After, tasting of the winery’s products, in particular the red ones: Dolcetto, Barbera, Nebbiolo and in the end Barolo. 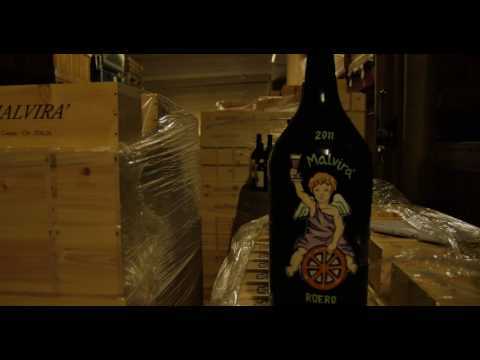 In the early afternoon they went to Fratelli Revello, in Frazione Annunziata of La Morra, where they had a panoramic of the most important winery’s products. In particular, guided by the owner’s daughter, they could analyze the winery production and its evolution with the new generation. A tasting of Barolo Crus, ended with the only Cru located in Serralunga, a new choice of the owner’s sons. After the exciting Barolo Auction, performed during the 6th of May, in which personalities from all over the world have participated, the students of Ian D’Agata 3IC, after have participated to the event, they went on visit at four of the most famous cellars in Langhe. The first group of experts of the 3IC formed by: Katie Venezia (Sommelier at Marta restaurant in New York), Melissa Winkler (Winkler & Samuels), Marisa Finetti (food & wine writer – Modern Luxury and Las Vegas Review-Journal), Irene Miller (Beverage director at Lincoln Ristorante), Matthiew Orawski (Sommelier at Del Posto restaurant), Susan Gordon (Journalist for Forbes), Gabriella Gershenson (wine writer – columnist for The Wall Street Journal Off Duty Section, published in The New York Times, The Boston Globe, Food & Wine Magazine), Shelley Lindgren (owner of the A16 of San Francisco), Alfonso Cevola (Blogger – On the Wine trail), Laura Depasquale (Importer for Southern) and Merak Chan (Importer for Summergate) went in visit to two cellars in Langhe G.D. Vajra and Poderi Gianni Gagliardo. In the afternoon of the 6th May the experts of the international panel went to G.D. Vajra cellar, where Francesca Vaira guided the visit and the tasting of the winery products in particular a Langhe Riesling, a Langhe Nebbiolo (made as “the ancient times” that’s why it results quite sparkling), a Dolcetto d’Alba, a Barbera d’Alba Superiore, the Classic Barolo “Albe”, a Barolo “Bricco delle Viole”, a Barolo “Ravera” and a Barolo that comes from the Serralunga d’Alba zone called “Luigi Baudana”. In the evening the experts went to Poderi Gianni Gagliardo where they visited the cellar, as well as the historic archive of bottles and the estate, with the storage tubs and the bottling processes. Later they tasted the more representative products of the winery, among which the “new entries” form their property Tenuta Garetto. The owners and the Gagliardo family members Gianni, Stefano and Andrea, they continued the evening showing to the guests the characteristics of the winemaking process, the properties and the characteristics of the different soils and the Barolo crus, everything accompanied by an enjoyable buffet. The second group went instead to Sinio, at the Azienda Agricola Enrico Rivetto, and then it went to Annunziata hamlet of La Morra, to visit the Agricola Marrone, always in Langhe territory. Among the guests, Bob Miao (China, Shangai Impact Consulting), Haixia Xu (Co-founder of Sichuan Ocean International Trade), Alex Yu (Cellar owner – event organizer), Emma Dong (Shanghai Yitang trading Co. Marketing Manager), Ivy Qiu (Sales Manager On Trade Channel – ASC Fine Wines), Sharon Lu (Lelane Wines Importer), Zoey Luo (Cellar Manager), Gill Gordon-Smith (Fall From Grace – educator, distributor specialized in Italian wine), Ned Goodwin (Master of Wine, columnist for Drinks, Prestige, WINART, China Business News), Sherry Weng (Art of Wine Chief Educator. WSET Level 4 Diploma, certified WSET educator, judge writer with “The Rising Star for the Global Wine Market: Wine & Culture Journey of the China Silk Road” winner of International Gourmand Award 2014) and Karen Li (co-founder of the De Yeen Jewelry Shanghai). In the afternoon the panel of international experts went to Sinio, a village near Serralunga d’Alba, at Azienda Agricola Enrico Rivetto. Here Rita Barbero, the winery trader, guided the visit of the cellar. After the visit the experts tasted the estate wines, truly appreciated by the panel. In the evening the experts went to Azienda Agricola Gian Piero Marrone located in Annunziata, an hamlet of La Morra. After the visit of the cellar, the experts were accompanied upon the estate terrace, where, tasting two wines, they were guided to learn the territories, the vineyards and the townships of the denomination. Later, the experts, in the tasting room, could have a view of the sublime and different products of this estate and, in particular, of its autochthonous vines. During the 23rd and the 24th of April the experts Aiwu Chu (China, Secoo Holding Limited Business Executive), Arlene Oliveros (Philippines/Canada, founder of World of Wines and Fraichè Vinotherapy and Enocosmetics, Vinitaly Wine Ambassador), Iris Rowlee (California, USA, Vinitaly International Ambassador and Sommelier of the Master Sommelier Court), Roger Xi Chen (China, Wine Importer) and Fangquian Tang (China, Purchasing Manager for S.A.R.L.) arrived in the Langhe to visit some Wineries and to have a better knowledge about the riches of this territory. In the afternoon of the 22nd of April, before beginning the trip in the Langhe, Iris Rowlee and Arlene Oliveros had the chance of tasting some products, came from other zones of Piedmont and also other regions of Italy. In particular they tasted an Aglianico del Vulture and a Sparkling Aglianico by Cantine del Notaio; an Aglianico del Vulture “Teodosio” by Basilisco; a Rabià, a wine made of Raboso, by Italo Cescon, and in the end a sweet wine made of Moscato, Freisa and Brachetto “Serena” by Cascina Pian d’Or. In the morning of 23rd of April the five experts went to the Castello di Verduno were they had the chance to visit the castle’s cellars, the private collection and taste the products more representative of the estate in particular Barolo and Barbaresco. In addition, the estate proposed an interesting deepening about the history of the Verduno Pelaverga denomination. In the late morning the experts went to Monforte d’Alba in the Azienda Agricola Silvano Bolmida. Here the owner guided the experts during the visit of the cellar, with the explanation of the wine making process with a low impact on the environment pursued by the winery and with the tasting directly from the barrels of the new Nebbiolo for Barolo vintages. After, the guests were dedicated to the tasting of the more relevant regional wines and the most important ones inside the winery, among them different and numerous MgA of the cellar. During the early afternoon the five experts visited the Azienda Agricola Adriano Marco e Vittorio. The estate is located in San Rocco Seno d’Elvio, an hamlet of Alba, surrounded by the vineyards and in the full nature that amazed the experts even before coming inside the winery. There Michela Adriano, daughter of one of the owner, followed in the visit of the cellar, and in the explanation of the more representative wines, the experts. The young owner showed the cellar, the barrels and the tools used during the wine making process, until take them in a more quite zone of the cellar where there are exposed paintings about wine topics giving, in the shade of the underground floor, a suggestive atmosphere. During the tasting Michela showed them, helped by the maps of the vineyards, their products: a Langhe Doc Sauvignon “Basaricò” (2017), produced with the only international vine cultivated by the estate; a Barbera d’Alba Doc (2017) that doesn’t pass through the wooden barrel and results fresh and fruity and easily drinking; a Barbaresco Docg “Sanadeive”, a piedmontese name for “Seno d’Elvio”, made from two different crus (2015), it pass one year in tonneau; a Barbaresco Docg “Basarin” (2015) with a nice flavour of red flowers and spices; to conclude the tasting Michela presented the Moscato d’Asti (2017), that is left in contact with the skins but not with the scratches, it is very pleasant with flavours of fresh and citrus fruits with a well balanced palate between acidity and sweetness. In the afternoon the visit continued towards La Morra in the Azienda Agricola Mauro Veglio. As soon as the experts arrived they could enjoy the breath taking view on the Langhe hills that it could be enjoyed from the estate because it is located on the top of one hill. The winery is modest and that’s what makes it so special because it creates an homely and cozy atmosphere. The visit at the cellar was guided by the wife Daniela, that showed also two ceramic amphoras. This underlines a will of use new methods to aging the wine but also a strong attachment to the traditions. Once the visit were concluded the owner accommodated the experts in the tasting room where she presented: a Dolcetto d’Alba (2016), fresh and fruity; the Barolo Classic (2014); a Barolo Gattera (2014); a Barolo Arborina (2014) and in the end the Barolo Rocche dell’Annunziata (2010), a great product perfect to conclude this selection of their Barolo. In the evening the five experts went to the Vergne hamlet of Barolo, in the winery G.D. Vajra, where they could enjoy of the ever generous family Vaira hospitality. After having visited the cellar the experts had the chance of tasting an entire panning of the winery’s labels. In the morning of 24th April the five experts went to Diano d’Alba where the winery Veglio Michelino & Figlio is located. After having visited the cellar were served to the experts some estate products, with a focus in particular on their line “Low Histamines”. This line was created to reduce at the minimum the allergic reactions to histamines, substances generated naturally in the products that have been fermented, that normally give headaches and intestinal diseases to whom is affected by histaminosis. In the late morning the experts went to Castiglione Falletto in the cellar of Cavallotto Tenuta Bricco Boschis located on the slopes of the homonym Cru of Barolo. After the visit at the cellar the experts tasted the most representative wines of our region. In the early afternoon they went to La Morra in particular in Serra Denari region. After a visit in the vineyards of the winery Dosio Vigneti and the explanation, in particular, of the Serra Denari Barolo vineyard, the highest of La Morra, the owner started the tasting of the most interesting products of the winery. In the evening the five experts were received in Agrilab, the space of Collisioni dedicated to the didactics on the piedmontese wines. Here, a representation of producers of the Piedmont Good Wines offered to the guests a selection of two labels for each producer. An interesting round table of tasting and confrontation, not just between producers and experts, for evaluating techincals of producing, perspectives on the markets, potentiality and critical issues of different wine in tasting. I have to say that if your objective is to bring people to Italy and then charm them with your culture and wine you have succeeded. In the time since I have left I have told dozens or even a few hundred people about the hills of Piemonte, about the wines of Italy, the varietals beyond the better known names. I have many vivid memories from the trip, some about wine, like learning about the wines of Marche and then tasting a lovely Verdicchio paired with the foods of Marche that night. The first session was dedicated to Grignolino. We tasted seventeen Grignolinos, ten more than I had tasted in the previous decade. I was inspired to learn more and drink more of it. The session focused on women winemakers and vineyard owners was fascinating. It was an amazing session as the sweet or dry wines showed. Seeing and meeting women, some of whom recently took over or joined their parents, others who have practiced their craft for decades was powerful. More than the wine itself, I fell in love with the people and the culture. My fondest memory from Collisioni was dinner at Gagliardo. The brothers were so hospitable, the setting so intimate. Their neighbor cooked the meal, we sat in their tasting room and it felt like family. It did not hurt that Bernard Burtschy was sitting next to me, so i basically earned a graduate degree that evening from the conversation with him. But the warmth of the family and passion for winemaking could not only be felt but tasted. On our way out of Piemonte days later, I stopped at their estate, introduced my family to the Gagliardo family, and purchased some wines to bring home for my 40th b’day. We are currently working on getting their Favorita to pour by the glass for summertime and I hope to host them for a dinner at Butcher & Bee when they make their next trip to the US. Overall this was a new experience for me. I appreciated the opportunity to be in the room with some of the smartest and most influential people in the wine world. I learned a great deal from the other participants and from Laura DePasquale in the sessions where she played the role of Ian. It was the trip of a lifetime, or as I told people after, it was a wice in a lifetime trip. I have included below a list of some of the Italian wines that we have carried at our flagship restaurant, Butcher & Bee Charleston, since my return from this trip. We are particularly proud of helping to educate Charleston about Franciacorta over the past eight months. 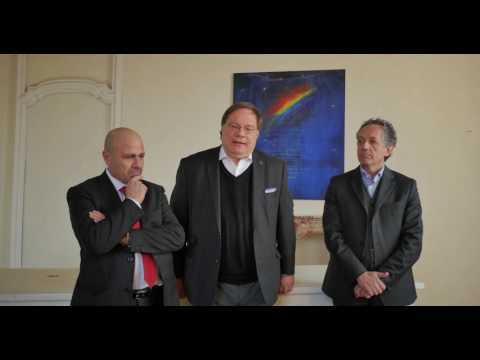 The 21st of February, Caroline Fridolfsson, was in Lombardy to visit some wineries of Franciacorta: Bellavista, Ferghettina, and Uberti, leaving some comments. The 19th and 20th February the experts Sharon Lv and Caroline Fridolfsson, respectively Shanghai importer and Londoner Sommelier, went in the Veneto lands to discover the Prosecco DOCG. “As we all know, Prosecco is the biggest italian DOC” - tells Sharon Lv - “extended from Treviso to Friuli comprising more than 14.000 ha and the vineyards altitude is comprising between 50 meters and 500. The sparkling wine that comes from the Cru Cartizze is the most expensive and it has just 107 ha at the bottom of the hills. To make a Prosecco you must use at least the 85% of Glera vine, leaving space to a 15% of international grapes as Chardonnay, Pinot Blanc, Pinot Gris or Verdiso (a local vine) that could help to improve the alcoholic content and the flavours. For me, the most significant experience was tasting so many Prosecco DOCG and Cartizze made by different winemakers. All the wines are made between Conegliano and Valdobbiadene, where the local climate is unique becouse of Dolomites, that protect form the cold wind of the North, and becouse of natural breezes that come from the Venice lagoon in the South. This conditions assure to Rive different day-night temperatures, ideals for grapes' ripening with rich flavours and crisp acidity. “This was one of my favourite visits, seeing that landscape from the top of the Cru Cartizze was amazing! What I've loved of this winemaker was his honesty and his dedication to growing Glera on biodifferent grounds. He was the first producer that really had in mind for his Prosecco the terroir, I've found great products as the Crede, the Molera, the Fol and the Salis. The Zèro Dosage, that we have tasted in the winery, was the “Private Cartizze” a “fermentato in bottiglia” that is extraordinary and I would have it in my wine list straightaway! I don't think that he realized how much great and intresting his wines are and I'm sure that a lot of Sommeliers of London would have it in their sparkling wine lists, for its convenient price too. I've done a great discover that has lit up a true love for the Zèro Dosage. “Here honestly I had diversified and sometimes discortant opinions about his wines and expirience. He present himself as a small producer that is trying to innovate with new styles outside the rules imposed by the consortium, which is quite relevant but than on the other side his production amounts at 1.1 million bottles from twenty or more conferrers. It was a pleasure to taste that historical vertical of old vintages of “Grave di Stecca”. An experience very funny and particular, with wines characterized by flavour of fresh fruits and an oxidative harmony with hints of bee wax but they seems to me too austeres. product that she had the chance to try during her permanence in the lands of Prosecco. "The tasting of Prosecco "col fondo" during the first day give me the possibility of tasting something new, that I have never tried before. I read something about but I've never got into an example, in London, of this style of Prosecco; to see such an ancient version of wine making technique still so present today was an amazing experience. It has shown the difference of Glera as vine and Prosecco as a wine region. We have tasted a lot of versions and labels, some were signed as "sui lieviti" and others as "senza solfiti aggiunti". If the producers united themselves as a region, having the same denomination as "Prosecco DOC col fondo", it could be more useful for the consumer to identify the style." Merak Chan is a wine trainer for one of the biggest Chinese importers: Summergate, in Hong Kong while Alex Yu is a young graduate from the César Ritz College – Institute of hotel management in Switzerland and is now opening a Tasting Room in Shanghai, thanks to his amazing wine cellar of precious and old labels from all over the world. On January, 16 to 18, the two of them had the chance to tour around the Langhe region to discover its wines and native wine grapes, but also its territory, soil and landscape. And winery visitis proved to be inspirational indeed, as Alex points out: “the visit to Poderi Colla and Trediberri, for example, were really useful to present the region in its complexity as they are very different realities in terms of history and wine-style, but alike in quality and interest. I believe Poderi Colla a very classic winery, like Armand Rousseau in Burgundy was the poinneer of the region at the old time: great wine makers, with great emphasis on vineyard work and nature enviroment. 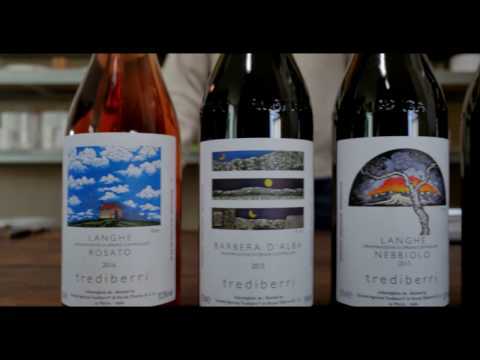 On the other hand, Trebiberri is maybe the best of new generation, paying the same attention to vineyard work but having a greater view of how the world of wine is like, thanks to the curiosity to discover greatest wines all over the world. 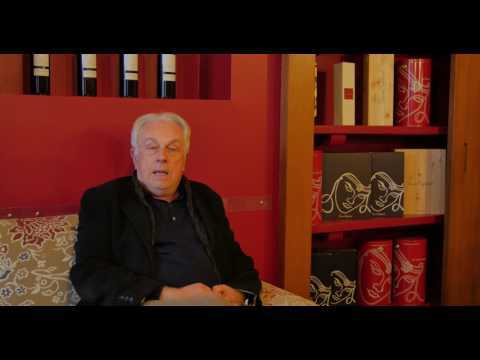 This truly shoes the tradition and promise of the Piemonte region.” “The character of Nick [Trediberri's producer] is very impressive.” Merak agrees, “the wine he makes is really amazing! Complex but very delicate and well balance, each wine having its own characteristics”. But the more you visit, the more you discover, and each visits enriches with different informations: “Marchesi di Barolo gave me a very good understanding of the whole wine making process, and the three different Barolos we tasted show us a good example of how different soil affect the wine style. Rizzi Winery gave us another important example of this important fact: different aspects of their land bring a different in their wine and all this proves Nebbiolo is really a expressive grape, that can take up and show the differences. The difficult part is how to get the consumer to really have the chance to drink the good Nebbiolo, as these are”. In spite of all this new perspectives on the already well known Nebbiolo grape and its expression with Barolo and Barbaresco, to discover a totally new and unknown wine grape brings the educational experience to a totally different level, as Alex admits. “The Nascetta really surperised me a lot. Both because of the 2010 from Elvio Cogno and the round table tasting, that gave me the chance to appreciate many different aspects of this grape, depending on the producer and wine-style. I truly think this grape has a great potential and deserves to be explored and enjoyed by the world of wine drinkers. I’m not specialist of winemaking, but from the taste and diversity of grape, Nascetta has its own ability to present the Terroir, which is maybe the most important trend of the wine world now, as the Burgundy, Rhone and Everywhere else are trying to work on”. The Pertimali farm is an ancient building on the Montosoli hill, north of Montalcino historical centre. It is a very old and historic building: it was built up and used as a detached hosting place for the recovering people of Montalcino hospital. This is why the property has manteined its territorial unity, and this is how it was when it gets to the hands of Livio Sassetti. Livio, belonging to the renowned winemaking family "Sassetti", decides to acquire the property to start his own wine-production activity. The location seems to be perfectly fit: land kissed by fate, right north of Montalcino, the small Pertimali estate is already surrounded by historical vines and it has some concrete vats and rooms where to age and preserve wines. Livio Sassetti, winemaker as a job, poet as a passion, transforms the estate, thanks to the isolated and compact position, in a true island for himself and his wines. There, he takes care with attention, as dealing with a poem, of every aspect of agriculture and vinification, carefully respecting the environment where he and his family decided to live. Today, his son Lorenzo, with the wife Serena, decided to keep on investing in the parent's activity and are now working at a new cellar, outside the property, to allow wines to be botteled and stocked there, so as to leave space and room for wines to age longer, when they'd need to, and to keep alive the experimenting and the enthusiasm of Livio. It is nowaday worldwide recognised by professionals, lovers and even those who approach wine for the first time that climate, soil and exposition play a fundamental and discrminating role in the growth of a vine, having a strong influence on the physical, organolettic characteristics of te grapes, as well as of the wines. Nonetheless, to think you may be able to see the difference among the vines of one single vineyard seems to be going a little too far. This is not always true though, and Ciacci Family explains why. The family is the owner of Tenuta di Sesta, a property set in south Montalcino, between Sant'Angelo in Colle and Castelnuovo dell'Abate, with the land heading south to the Orcia river. Duelecci (two holms) is the most famous vineyard of the winery: rows of vines, embracing the sidde of the hill, re-planted with Sangiovese grapes between 2000 and 2002 and separated vertically in the middle by two holm-trees, giving birth to a east-part and west-part. This is not aestetcs, but rather a sign of two completely different soils, giving life to two completelly different wines. Due to this so-relevant difference, in the lates years Ciacci family changed their Brunello Riserva recipe. Before, it was made of a selection of the entire vineyard but they soon realized that one of the two slopes (east or west) used to respond better to certain vintages than the other. The west-side, characterized by presence of tuff and red-soil rich in iron and with good drainage, shows its best in warm vintages, while the east part of the vineyard, with sandy and gravel soil, is perfect for more chill vintages. This year, the winery released the first label of this new project: the Brunello di Montalcino Riserva 2012 Duelecci OVEST, a wine speaking of the warm vintage and the side of the vineyard from the first sip. Nonetheless, to confirm the choice of the winemakers, it will take some more years and labels to taste. To work in the fields means, first of all, to be in constant contact with the plants, to breathe what they breathe, eat and drink what they drink and eat. This is why, the awarness-raising on an agriculture caring for the environment is becoming a more and more important campaign in latest years. 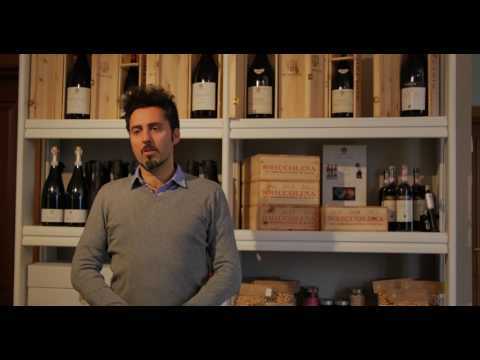 This is what Francesco Marone Cinzano, president of Col D'Orcia, is confident of. His proprety is set south of Montalcino village, untill the Orcia river, that represents the southern limit for the production of Brunello di Montalcino. Here, Col D'Orcia laya on 540 hectars in one sole block: a true "green oasis", as the President says, of woods and farming lands, where the Winery, thanks to the many families living in the estate and working for it, grows animals, cultivates the earth and produces tobacco, oil and wine. 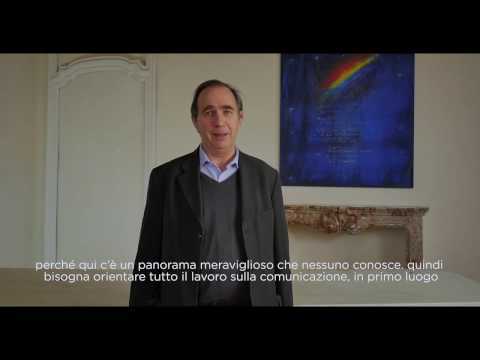 It is thanks to a constant attention for the environment, to hand-made harvst and an investment on human resources that Francesco Marone Cinzano strongly believes in its wines and in the success of his research projects, that lead him to work for conveying more and more the concept of bio-vitivulture, with the purpose of creating an "Organic District" in the whole Montalcino. 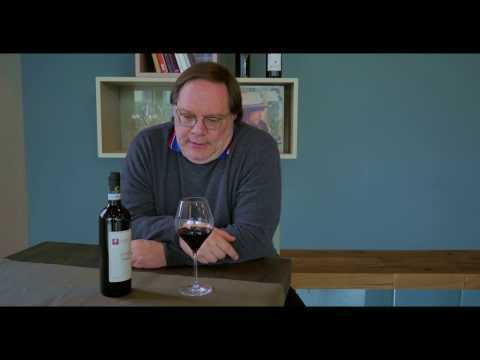 "People are healtier, and vines are healthier as well, if you treat them well" and, to demonstrate his point, nothing is better than a vertical tasting of some truly impressive labels: Brunello di Montalcino Riserva 1988 - 1978 and 1968. An explosion of freshness and complexity to remind us that wine is, first of all, alive. Faces, columns and ancient aamphoras sculpted on the facade, two stone animals guarding the entrance and a taurus on the top of the building. This is how it looks like to be the Winery of Sandro Chia, member of Italian Transavanguardia (neo-expressionism): painter and artist who exposed, among the others, to Paris and Venice's Biennale, now living between New York and Montalcino. Here, in Montalcino, Chia bought the Romitorio Castel, an ancient medieval building with vineyards, west of the village's historical centre, and he worked for years to restore the castel and plant new vineyards. Today, the guests are welcomed by Tullia and the oenologist Stefano and are driven through the vineyards, rooms full of colors and sculptures, barrels and stone greek divinities, with that artistic touch that leaves no doubt on the author. And art being a fundamental pillar of the winery is something you can witness from the spirit of the people, to the wine labels, to the lunch served by Claudia, granny as a job, cooker as a passion here, for the guests, with typical dishes prepared the old fashion, using the winery products like oil and vegetables and creating a perfect match with the tasty and lively wines house-wines. "Gualtiero was the one who used to take care of the old farm of the family. His relatives were already into other businesses, while I have a clear memory of him coming to Camigliano property anytime he coupld". This is what Laura, the wife of Guartiero Ghezzi, while she carefully serves the wine labels of the Winery, that now is their home and full-time job of them both. Gualtiero and Laura, in fact, take the property over in 1997 and, starting from that year, they move almost permanentely from Milan to Montalcino, in the homonym district of Camigliano. It truly is a bucolic place: a small restored village with small roads, stairs, courtyards and even a church, while the cellar has been built up to develop underground, without ruining the architecture and the wonderful view on the Tuscan flat land to the Maremma. Heading north, instead, you may see the winery's lands, among which the vineyard that gives the Sangiovese for the most famous of their wines: the Brunello di Montalcino "Paesaggio Inatteso" (the Unexpected landscape"). It is 1998 and Francesco Illy, longtime charmed by the area, has the chance to buy and restore and ancient farm in Le Ripi district in Montalcino. This is how an international photographer decides to concentrate his efforts and time discovering the art of making wine, merging his curiosity and creativity to agriculture. This does not mean he stops travelling, experimenting and discovering and it is actually during one of his travels in Burgundy that the "Bonsai experiment" comes to his mind. "They told me that, in order to have a good wine, the vine's roots had to be as deep as possible. In order to reach the objective in the very least possible time, I decided to try, in one of my vineyards, to plant vines at about 40 cm one from the other, as to make the vines concentrate on working underground, seeking for nutriment as deep as possible". An aim that actually gave its results as the Podere Le Ripi is nowadays well known for a wine called "Bonsai". "The roots stop their digging only when they come in touch with the layer of 'blue' sandstone, a soil that does not allows the vines to get deeper". Francesco Illy keeps on experimenting and developing his project: "With the new acqquisitions I've been making in the past years, I intend to try the Bonsai-style viticulture on different terroirs, trying to understand what its potentiality really is and the differentiation in the wines produced by those vineyards". On December, 10 to 12, two international guests and professional wine educators were invited for a full-immersion in Piedmont (Langhe and not only) discovering its territory, some of its wineries, some lesser known local wines, but also its history and tradition. Then, it is the turn of the other guest, Alexandre Ma, a young Chinese guy who keeps-on the conversation in a French as perfect as that of the francophone Canadian. He is a professor and educator based in Bordeaux, where he teaches to both school programs and private, professional clients, but working as well in Shanghai with the new-born Grapea Institute. This brand-new wine-school for professionals already counts many important collaborations with local press and with restaurant and hospitality chains. The two come from totally different backgrounds and professional history, but share the same passion about wine, Italian wine in particular, and education, of what they go on talking during the whole trip, giving each other suggestions, confronting on how to introduce to students the less-known wines tasted and the regions touched, as the Monferrato Casalese, where they had the chance to visit three different Ruché producers, but also on small and young realities in very well-known denominations and the importance of giving them the right attention and of pushing their specificities and wine-style. In front of such dedicated and enthusiast professionals, a question raises by itself: what exactly may it be, in their opinion, the purpose of teaching such a subjective, still leisure and market related topic as wine is? “Education on wine has a ‘pleasure dividend’, that means that by discovering wine people who are studying it begin discovering their own taste and doing so they are better guided in their search of pleasure, because wine is not commerce, it is personal pleasure and the pleasure of sharing it with friends.” Richard has no doubt about how interesting, enriching and also fun it is to study wine. Learning about wine is then fundamental to succeed in truly appreciating it, by getting more and more into it, looking for your own taste (and those of your friends), making the right choices and understanding the work of producers and the preference of consumers. Richard goes deeper into this consideration, as the important thing about wine is to have the chance of truly appreciate it, and this is not easy at all. “For instance, speaking about Piedmont, one important aspect to keep in mind is that, if you really get into wine, very soon you’ll realize how satisfying and interesting it is to try a couple older bottles, of those that grow better with age. In order to do so, then, it is not enough to read a good review of one producer or one wine, you need to know what wines can age well, by denomination, producer or wine-style, so you truly need to know what you are buying. We have to admit that Piedmont has a couple good pieces to choose, so if you are able to choose well such wines and then to keep them in your shelf and wait for some time before drinking them, there’s no doubt you’ll be rewarded.” This is why knowledge and study are the right way to truly enjoy fully this wonderful voyage that wine, and wine of Piedmont in particular, is. The two professional gave us some time to give their point of view on Piemonte’s viticulture and its potentiality on foreign markets. 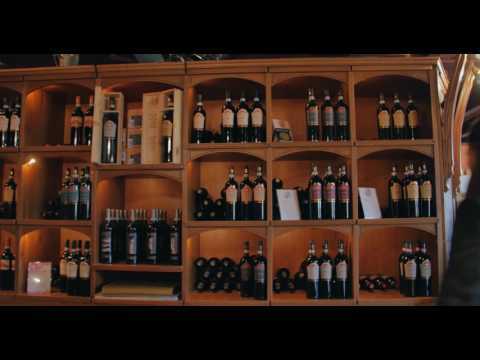 What is the general perception, in your or other foreign Countries, of Piedmont as a wine region? You touch an important and critic point here. 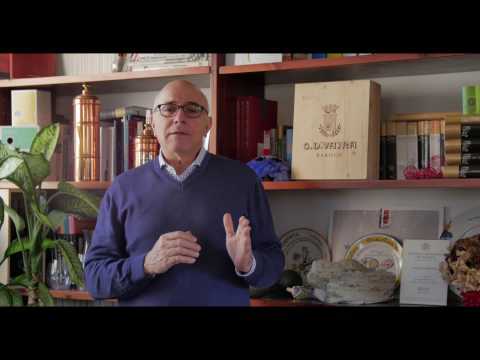 We go around talking a lot about wine, but how important is to put the focus as well to the wine-food relation, in particular here in Piedmont, where they are always very much linked? AdV: “I think it is THE relation to be stressed, first of all for social reasons. I always say that wine itself, if you don’t have friends and family and if you don’t have food to pair it with, is useless. French people, I speak of the as I am French, sorry, tend to separate them and we have tons of young chefs who understand nothing about wine and I think it is a big issue, because these two are meant to be together. Today we tasted a wine that to me was an excellent pairing with vegetables, that is the Arneis, because matching vegetables is not an easy thing to do. So the fact in every “agriturismo” of the area you always have a boutique where you not only have wines but also food is to me “ottimo” and more than that, I think both businesses work together and benefit from each other”. Does this happen as well to two experts as you are? Is there any wine, or any denomination, you discovered or re-discovered in your recent trip in Piedmont that managed to surprise you still? Great, thank you, so give a voice to the “little brothers” as well! Any other suggestion you would feel like giving to Italian wine-makers trying to approach international markets? The perception and perspective of the Asian world on wine is without doubt one of the most looking forward and interesting topics of wine-experts, producers and wine-lovers lately. This new market is revealing itself more and more influent, with an interest of getting inform and educated and, so, to make wine part of its culture and everyday life. With the purpose of analyzing this path and the role played today by Langhe, Roero and Monferrato wines, we asked the opinion of three Asian professionals, who had the chance to spend a week-end in the region, discovering wine, food, history and landscapes of Barolo and surroundings. Emily Huang is a young importer and a distributer of Italian wines, now put in charge of the promotion of those wines on the market. “In Taiwan the most famous [Piedmont wines] are Barolo and Barbaresco but in fact, we don’t know much about others, especially the white ones. I mean, we know, for instance, Arneis, but we have no idea it is a variety that grows in Piemonte, that’s a problem, because we need a lot of effort to introduce more about the varieties and especially their locations”. Bernice Cheng, wine-writer, wine educator WSET and legal advisor on topics related to wine business for companies wanting to enter Chinese market, shares the same idea about her markets, Hong Kong and Beijing: “in Hong Kong, people love Italian wines and Piemont in particular. They love Barolo and Barbaresco but they do not now much about white wines. In Beijing, once again Barolo, Barbaresco and Barbera, especially in restaurant.” But the interest for other wines, white ones in particular, is growing, together with the urge to receive a good education about them: “I would say now you get to see more Arneis, some Cortese, but I think Timorasso or Favorita would be very interesting grape varieties and people is growing more and more curious of those new discoveries, so I think masterclasses, education, would be very helpful”. One of the most important but also most delicate topics to address when you think about wine education in Asia, is the fundamental and complex relationship with the local food. As Rinya explains, “China is a very big Country and we do have at least eight different styles of cuisine, some spicy, some salty, some umami -like my region, Guangdong- and some hot-pot-something, so it would be very interesting to try and pair Piedmont wines with local food”. You need though to be very careful on trying a pairing based on the fundamental ingredients of the dish, as the complexity of Chinese cuisine goes much beyond that “we use a lot spices and dressings. You cannot just say, for instance, ‘it goes very well with the beef’, no, it depends on the sauce, so we have to try everything.” Emily points out. “This is why, if you just see a menu and you pair the wine according to that, it may be very risky”. In this case, an important role would be played by the modern-style cuisine that not only is approaching the traditional Chinese cuisine in a different way, but also, is very curious of discovering new ingredients, products and dishes and to adapt them to their own taste. Bernice suggests to “get more on modern-style restaurants. There, you find a specific plate with one or two specific profiles, as opposite to family-style cuisine, where you have 5 or 6 different dishes with spices, sweet, soy sauce, that is very difficult to complement with ‘A’ wine or wines. But modern Chinese food, they are starting to do some interesting pairing”. “Chinese people are quite creative” Rinya adds “and I think they would appreciate to try some Piedmont specialty, as we did in these days, and then to re-invent it to their taste. This would be a great way to convey the beauty and complexity Piedmont eno-gastronomy, letting us discover both your wine and your food together”. The biggest surprise, according to all three’s opinion, would thus be Piedmont whites. “The Nascetta goes very well with the seafood and the Favorita as well and, as we are an island, we do eat mostly seafood”, Emily points out. “But also the Cantonese cuisine, because it is steamed food with ginger, would go very well with Favorita and Nascetta, those type of grapes”, as Bernice concludes. En 1809, le cadastre napoléonien fait déjà état de mille hectares de vignes dans cette région située en Lombardie. Mais l’histoire moderne débute vraiment en 1961 lorsque onze producteurs regroupent leurs 29 ha pour élaborer le pinot de Franciacorta. Le statut de DOC (appellation d’origine contrôlée italienne) leur est accordé en 1967 et l’association de défense (Consorzio volontario per la tutela dei vini Franciacorta) est créée en 1990. En 1995, Franciacorta est la première appellation italienne utilisant la seconde fermentation en bouteille pour l’élaboration des effervescents à obtenir la DOCG (appellation d’origine contrôlée et garantie). Maintenant, Franciacorta désigne exclusivement la région délimitée, la méthode de production et le vin lui-même élaboré selon cette méthode de seconde fermentation. Aujourd’hui, l’appellation Franciacorta recouvre 2800 ha en production sur 19 villages avec 116 producteurs, ce qui donne environ 17 millions de bouteilles. Les vins tranquilles se retrouvent désignés sous le nom de Curtefranca DOC et ils sont élaborés sur 350 ha. L’ensemble de l’aire d’appellation est de 3150 ha. Les vins sont élaborés avec 82% de chardonnay qui est très adapté à la région, 14% de pinot noir le cépage historique qui produit encore de très grands effervescents et 4% de pinot blanc, un cépage intéressant pour sa fraîcheur. Avec le changement climatique, un nouveau cépage est expérimenté, l’Erbamat (herbe folle). Ce vieux cépage local, cité dès 1500, a été ressuscité par l’université de Milan. Il a pour vertu d’être d’une maturation plus tardive, cinq à six semaines plus tard que le chardonnay qui est récolté dès la mi-août ce qui nuit à sa complexité, et il est doté d’une très forte acidité. Ce cépage robuste et productif est pour l’instant limité à 10%, mais les essais sont très encourageants. L’appellation est encadrée par une législation stricte. La vendange est obligatoirement manuelle et elle a lieu entre le 10 août et le 10 septembre avec un rendement limité à 10 tonnes de raisins par ha. Les cépages autorisés sont le chardonnay, le pinot noir et le pinot blanc, ce dernier étant limité à 5%. Dans les faits, l’appellation compte 85% de chardonnay comme mentionné ci-dessus. Etape capitale, le vieillissement sur lie est très réglementé avec 18 mois minimum pour un non millésimé, 24 mois pour le Satèn (qui correspond en gros à l’ancienne mention Crémant en Champagne avec une demie-mousse soit 4,5 kg de pression) et 30 mois pour un millésimé. L’originalité vient du Riserva qui exige 60 mois sur latte. Les mentions de dosage (Extra-brut, brut, demi-sec, et.) sont régis par la réglementation européenne qui ont été modifié en 2009.